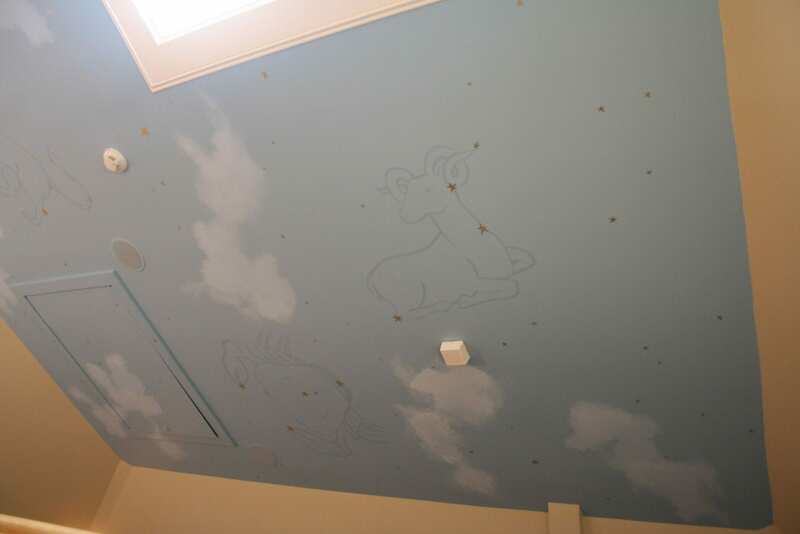 This ceiling is on the third story of a beautifully restored craftsman house in Palo Alto, CA. 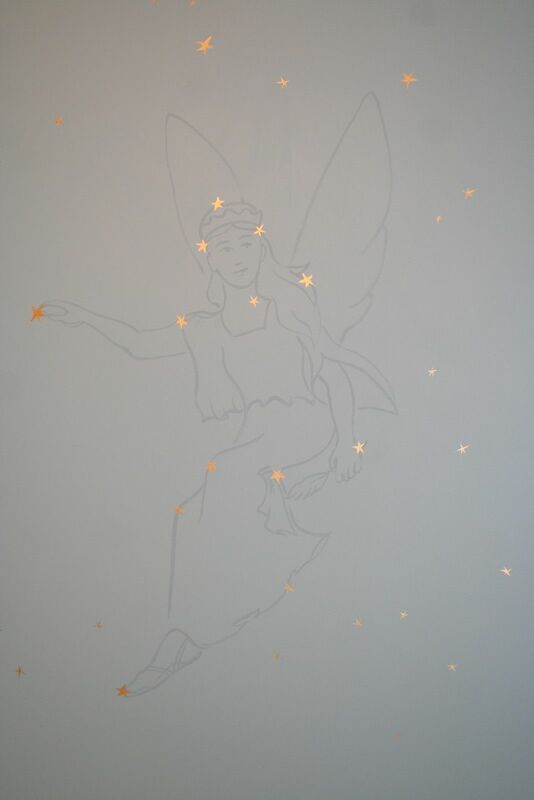 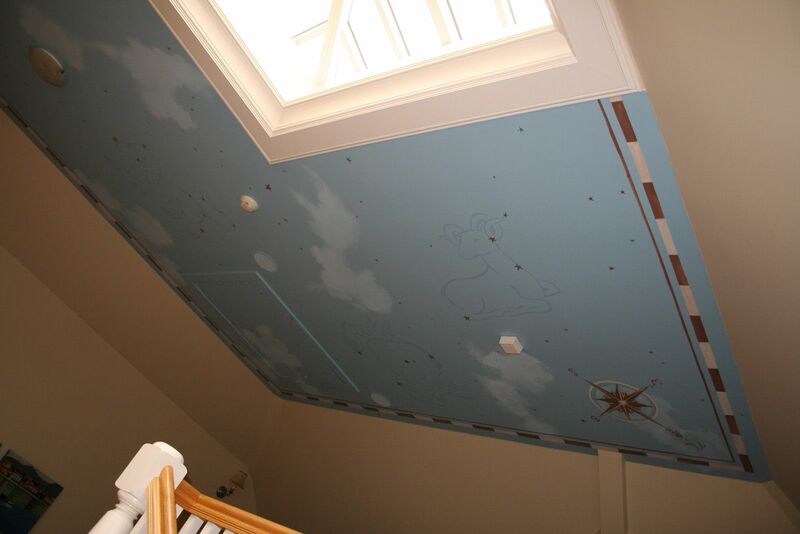 The client wanted to add her own personal touches to the house so it reflected the fun personalities of the family. 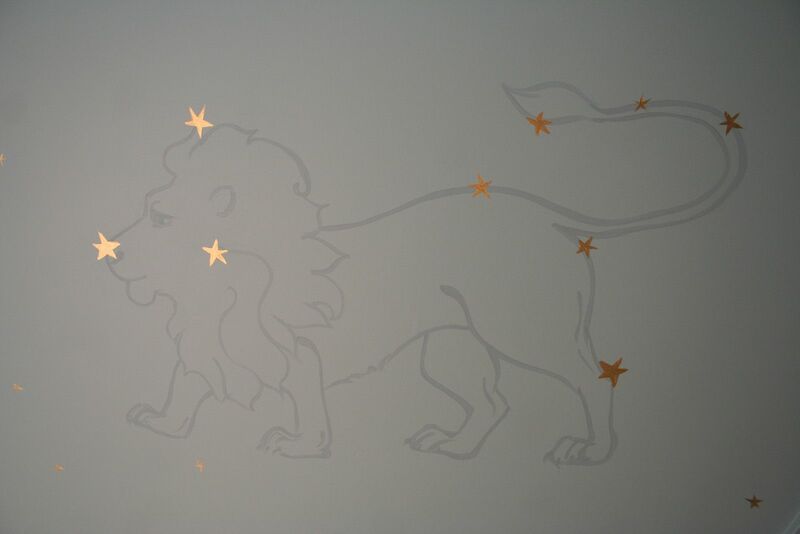 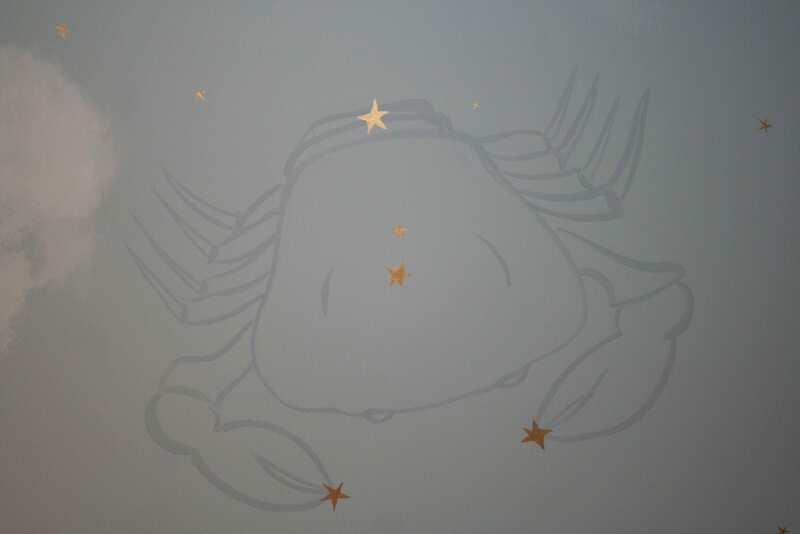 She wanted more than just clouds painted, so she came up with the unique idea of painting the zodiac signs of each member of the family. 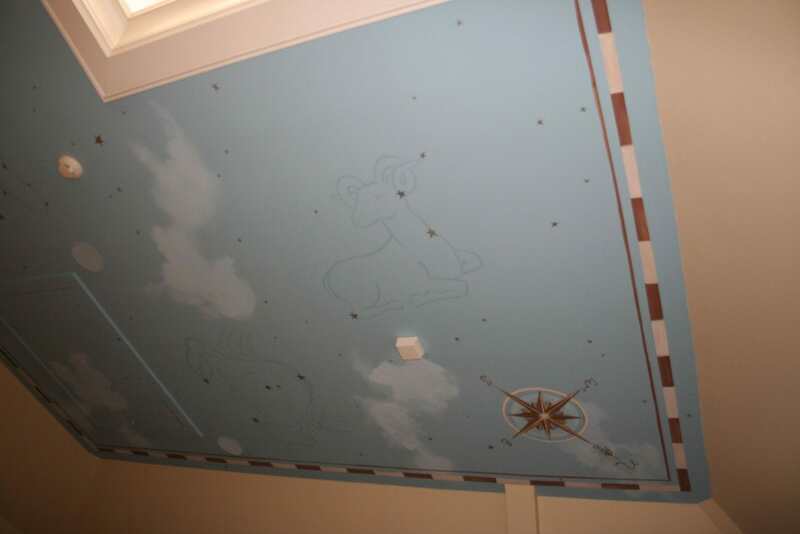 We added gold stars to dress it up, and adding a nautical map inspired border to reflect her husband’s avid interest in sailing. 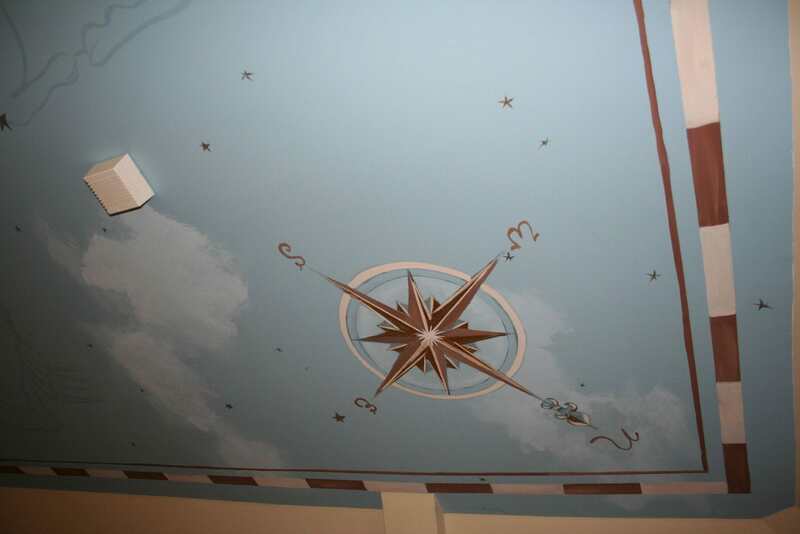 When we were just about finished, her husband brought us a photo of the ceiling of Grand Central Station in New York City, and we realized our concept was strikingly similar!